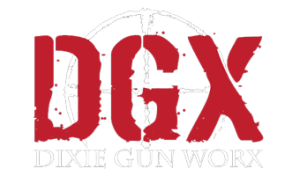 At Dixie Gunworx, we are a Class III Firearm Dealer, and SOT Class 2 Manufacturer. SOT stands for Special Occupational Tax, and just means that we are able to be involved in manufacturing, dealing, and transferring NFA items. NFA items, also known as National Firearms Act items include: fully automatic weapons, short-barrel rifles and shotguns, and suppressors/silencers, and a selection of firearms that are classified under AOW (Any Other Weapon). If you choose to do an NFA transfer by purchasing a firearm from an outside vendor that will be sent to DGX for pickup, instead of the $75.00 transfer fee with purchasing directly from DGX, the transfer fee is $150, in addition to one of the Tax Stamp fees listed above. The process for completing an SOT/NFA transfer (which includes suppressors, machine guns, short barreled rifles and shotguns) is a fairly lengthy process. Initially, you choose the item, then pay for it. After that, we have to fill out a Form 4, and send it into the ATF. They decide if the person is allowed to have the firearm, and DGX gets a response. Responses are taking anywhere between 6-14 months to come back to us. Once you are approved, you come back to our shop and fill out a 4473 showing that we are transferring a weapon to your name. For our SOT transfer form click the link below.